L.A. electropop duo Capital Cities has been enjoying a fair amount of internet buzz in the past couple of weeks, following the release of their self-titled debut EP at the beginning of June. With their extremely catchy pop tunes, they’ve been building an ever-growing base of loyal fans in their hometown, in the US and abroad. 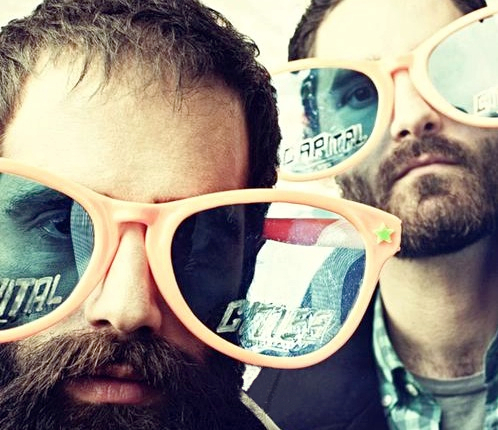 The two musicians at the core of Capital Cities, Ryan Merchant and Sebu Simonian, met through craigslist in 2008 in Los Angeles and composing and producing tracks together. Their collaboration quickly became a full-time occupation and they decided to create Capital Cities. I will immediately grab your rss feed as I can’t in finding your email subscription hyperlink or e-newsletter service. Do you have any?